Our goal is to make your move as easy as possible. We price our moves by how much of our truck space you need – this way you get the best value at a flat rate. Whether your move is big or small, we’ll take care of it! All you need to do is tell us what you intend to bring to your new place and where you want it. Our team does all of the lifting and maneuvering so that you don’t have to. 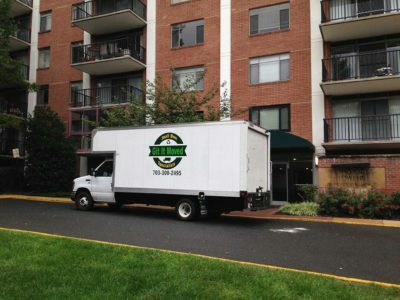 Contact Git It Moved for your apartment, house or office move in Vienna, VA!